We all know that culture has the capacity to drive and alter everything that happens in our teams and organizations. Business results, services and products, relationships with clients and suppliers, the way people think, the stories they share, the way they go about their work and interact with one another; all this and much more is influenced by culture. But culture can often be like a wet bar of soap—too slippery to grasp. To harness its force, we first need to understand its nature and dynamics. And there’s no better person to help us get a handle on organizational and team culture than Edgar Schein, one of the world’s most well-known culture pioneers. I had the pleasure to interview Ed shortly after his 90th birthday. 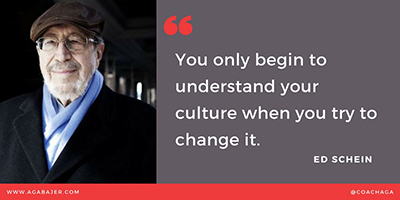 Our conversation was part of the CultureLab podcast series where I interview leadership thinkers, culture experts, entrepreneurs, and culture change agents to help listeners harness the force of culture. Ed and I discussed many common concerns surrounding culture, and you can listen to the full interview here. Is it really possible to change culture? Who is responsible for culture and for culture change? 1. How Is Culture Created? The creation of a company is also the creation of its culture. Culture comes to life at the very same moment the founder establishes business operations, irrespective of whether she is conscious or intentional about creating a culture. It is the founder’s values, the norms by which she lives, the way she approaches her business, and the decisions she makes that shape the culture of her business. If the founder is friendly and empathetic, chances are that the company culture will have a strong people focus. If the founder is competitive and controlling, the company culture will value status and hierarchy and prioritize winning. If the founder is highly analytical, the company culture will emphasize data-driven decisions. People always observe the founder—how she thinks, what she believes, how she acts—and they infer culture from that. The more successful a start-up is at the early stages of its existence, the stronger its culture tends to be. The reason for this is very simple. 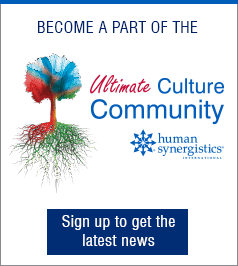 As Ed Schein said during our interview, “Culture is what a group has learned in its history that has enabled it to survive and thrive (…) whatever values and norms enabled that group to survive and manage its internal affairs, they are its culture." Companies are built in the image of their founders, and culture is always a reflection of how founders go about creating and managing their businesses. As a result, culture is the shadow of the founder. 2. Is it Really Possible to Change Culture? I find that it often helps to think about culture as a living entity to answer this question. Just like other living entities, culture is hardwired for survival and self-preservation. In our interview, Ed talked about the fact that culture is a complex, multifaceted entity, consisting of many elements. It’s impossible and unnecessary to influence all of them at the same time. Consequently, our goal should never be to change or overhaul the culture in its entirety. Instead, we should try to identify which aspects of culture might help or hinder the organization’s ability to survive and thrive—and focus on those. And the more specific we can be about what issues, challenges, or problems we need to solve to help our business to thrive, the easier it will be to identify which aspects of culture will have to change. Personally, I prefer to talk about culture evolution—not culture change. There are two reasons for that. Be very clear about what it is that you are trying to achieve in your business. Identify key cultural enablers and key cultural obstacles towards the desired business outcome. Make a plan to preserve, strengthen, and celebrate those aspects of culture that already enable your business goals. Identify what needs to be in place to help evolve those aspects of culture that currently stand in the way of achieving your business goals. Rinse and repeat as your culture and business evolve. Culture will take care of itself whether we do something about it or not. It doesn’t want to change, but it will, and does evolve continuously to survive. Culture work can only be successful if it's linked to real business needs or a specific problem that needs to be fixed. This work can happen only when it focuses simultaneously on preserving the positive elements of culture and evolving those elements that need to change to help the business thrive. There’s no endgame, only continuous evolution. 3. Who’s Responsible for Culture and for Culture Change? Evolving a culture in an intentional way might involve making changes in company structure, business model, and various supporting systems. However, Ed stressed in our interview that nothing is more elementary and more powerful than what the leader does—or doesn’t do—to embody the culture he or she wants to cultivate. One of the biggest problems in organizations today is that while leaders state the need for change—for example, “We need to embrace a more participative leadership style” —they don’t walk the talk themselves, or don’t hold their people accountable for the desired behaviors. They try to “delegate” responsibility for culture to HR or even an external consultant and get frustrated when things don’t go as planned. But, there is no getting away from it— “It’s the leader herself who should be doing the culture work, as she is the one who creates the culture through her own behaviors, what she rewards, and what she pays attention to,” said Ed. If you are a leader and what you want to see is more teamwork within your team or organization, you might have to ask your team members what they’ve done to improve collaboration on weekly basis. Perhaps consider introducing rewards for collaboration and setting team-based goals. If collaboration informs the way you organize your team, set targets, evaluate performance, and reward and promote your team members, you will inevitably see more collaboration. Leaders are ultimately the ones responsible for shaping culture in their organization; culture is shaped by what they do, what they don’t do, and what they choose to tolerate. For culture to evolve in the desired direction, leaders need to take action daily, talk about their expectations, walk the talk, and be willing to make difficult decisions when necessary. My hope is that this blog makes a small contribution to demystifying culture, making it more accessible and less overwhelming in its complexity. 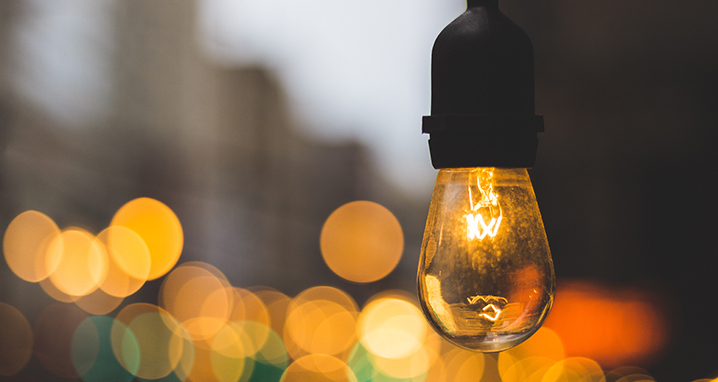 It’s only when we begin to understand culture that we stand a chance to harness its incredible power and start creating environments where people can do their best work. To listen to my full interview with Ed Schein, click here. 1 Schein, E. (2018). Humble Leadership: The Power of Relationships, Openness, and Trust (The Humble Leadership Series). Oakland: Berrett-Koehler Publishers. She is the host of the CultureLab podcast and the co-author of “Building and Sustaining a Coaching Culture - a complete guide on how to embed coaching in an organization’s DNA. Her approach is science- and evidence-based and she makes the complex issue of culture, change and team dynamics as simple (but not simpler) as possible, uncovering all the crucial and fundamental forces at play, so that you can take the right actions to bring about the change you seek. Aga has worked with senior leadership of many major organisations, including the European Patent Office, Citibank, Toyota, Porsche, GlaxoSmithKline, AstraZeneca, Leo Pharma, Hellenic Bank, Eurolife, Bank of Cyprus, Eurobank, Wargaming, Sanofi, Amdocs, SAP, and many, many others. For more information, you may visit www.agabajer.com.